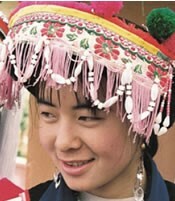 The Southern Gaisu are one of approximately 100 Yi subgroups in Yunnan Province. They are not the same as the Western Gaisu who speak a completely different language. 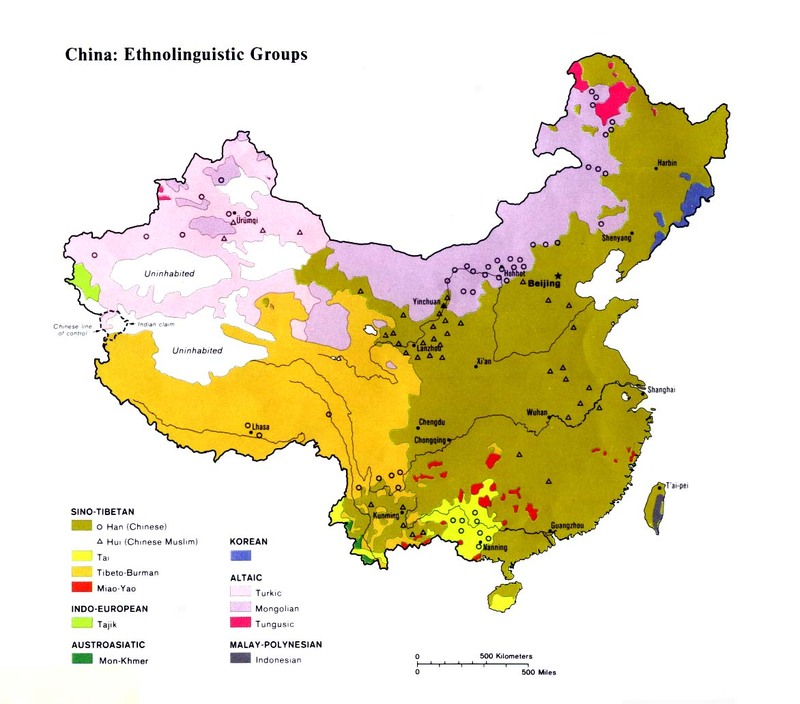 Neighboring minority groups have a host of names for the Southern Gaisu, including Bailili, Bai Lisu (White Lisu), and Luozu. Most Gaisu are highly assimilated to Han Chinese culture and language. 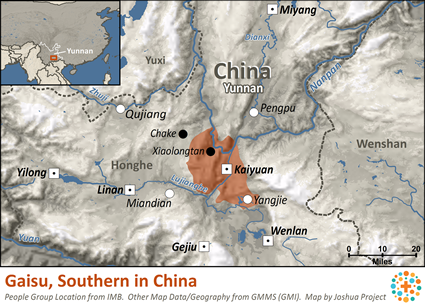 As the various Yi groups splintered into smaller units, they moved southward from their original homeland near the juncture of today's Sichuan, Yunnan, and Guizhou provinces. The Southern Gaisu claim they entered their present location from Luxi and Muli counties to the north of where they now live in Honghe Prefecture. The Southern Gaisu observe the Tenth Month Celebration, held to celebrate the end of the harvest season. They sacrifice a pig to honor their ancestors and seek the blessing of the spirits for the upcoming year. They also celebrate the Torch Festival, common among many Yi groups in southern China. The Torch Festival is an occasion for relatives to get together and socialize. Events include bullfighting, wrestling, and singing. The Southern Gaisu are polytheists. They worship many deities, ghosts and spirits. Days are set aside for the worship of the spirits. Ancestor worship is also widely practiced by the Southern Gaisu. Food is prepared and placed before pictures of dead family members. The Southern Gaisu observe many superstitions. They believe the manner in which guests eat and the way they leave their plate and chopsticks may bring a curse on the host family. Many of the younger generation are atheists. Most Southern Gaisu have been assimilated to Han Chinese culture. Only a relative handful of Southern Gaisu are Christians. Few missionaries focused on them in the past. Devoted and love-filled laborers are still required today in order for the Gaisu to turn to Christ. The Chinese language is considered strange and foreign to many Southern Gaisu. View Gaisu, Southern in all countries. Location in Country: Approximately 35,000 Southern Gaisu live in the eastern half of Kaiyuan County in Honghe Prefecture of Yunnan Province, predominantly in the valleys and on the mountain slopes near Kaiyuan City. About 1,400 Gaisu spill over into Gejiu County.